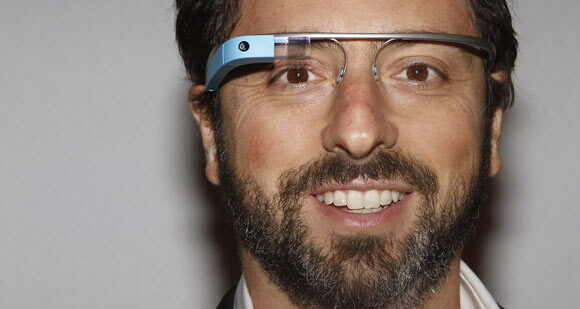 American computer scientist and entrepreneur Sergey Mikhaylovich Brin is the co-founder of Google, the largest internet company in the world. Brin was born in Russia in 1973 and his family suffered from financial trouble before arriving in America. They moved to the US when he was six years old to avoid the unfair persecution of Jews in Russia. Brin’s father wanted to be an astronomer but ended up as professor of mathematics at the University of Maryland (Sergey Brin’s alma mater) and his mother is a researcher at a NASA Space Center. After graduating from University of Maryland with honors in 1993, Brin began his graduate studies at Stanford in the field of computer science on a graduate fellowship he received from the National Science Foundation. Brin met Larry Page, the co-founder of their future company, during the orientation at Stanford. After a while they became close friends, especially since they were able to intellectually challenge each other. Brin’s area of interest was data mining and together with page, he co-authored a paper entitled “The Anatomy of a Large Scale Hypertextual Web Search Engine“. After putting their heads together, they began working on their theoretical project in earnest and bought a number of low priced computers which they would keep in their dormitory rooms. Using these computers, they began to build a search engine which quickly surpassed even Stanford’s computer search system. After working together for a while, in 1998 the pair decided to put their PhDs on hold in order to take their extraordinary idea to market. At that time they had no money for product development or establishing a company, so they borrowed from friends, family and professors. With the money they had collected, they rented out a garage in Menlo Park to set up their headquarters and bought some servers to begin working. They were in the process of filing the paperwork to incorporate their company but as yet their company had not been formally established. With another $100,000 from Andy Bechtolsheim (the co-founder of Sun Microsystems) the duo officially incorporated their company as “Google, Inc” which was named after the mathematical term “googol”. Ever since the incorporation of his company in 1998, Brin and Page have had unprecedented global success. Google Inc’s motto is Brin and Page’s combined vision and that is to make information universally accessible to everyone. Their contribution to enhancing the spread of global knowledge has been so great, that “The Economist” magazine even compared it to the modern equivalent of the invention of the mechanical printing press by Johannes Gutenberg. Google, Inc is now the largest Internet company in the world and Brin and Page own 16% of it. In 2007, Sergey Brin married a biotech analyst named Anne Wojcicki. Brin’s wife is actively interested in spreading health information and the couple co-founded a company named “23andMe” that is devoted to research about the human genome project. They have a son (born 2008) and a daughter (born 2011) but the couple separated in 2013. Brin’s mother is suffering from Parkinson’s disease and is being treated at the University of Maryland School of Medicine, to which Brin himself has made a donation. Brin and Page have won numerous awards and honors, including being named the fifth most powerful people in the world by Forbes magazine in 2009. As of March 2014, Brin is the 19th richest person in the world with a personal wealth of US $31.8 billion.